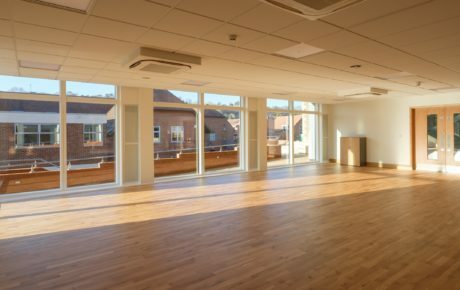 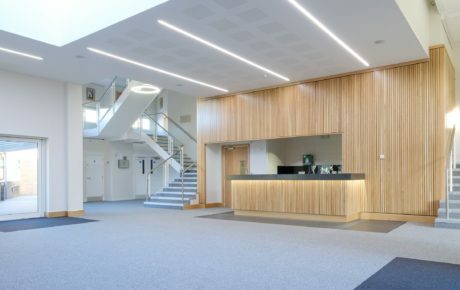 Construction of a new £3 million two storey extension to the Humphreys Hall performing arts building at Caterham School. 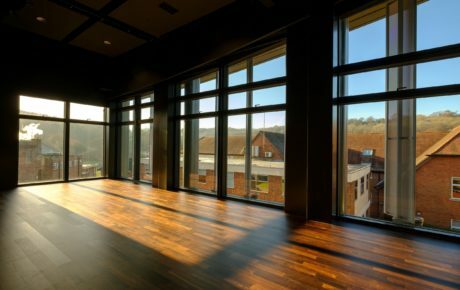 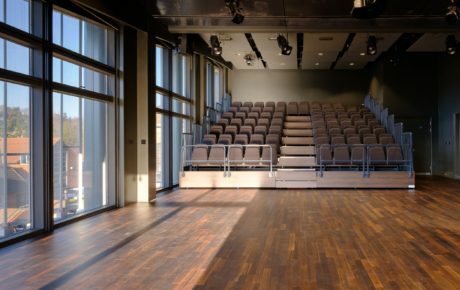 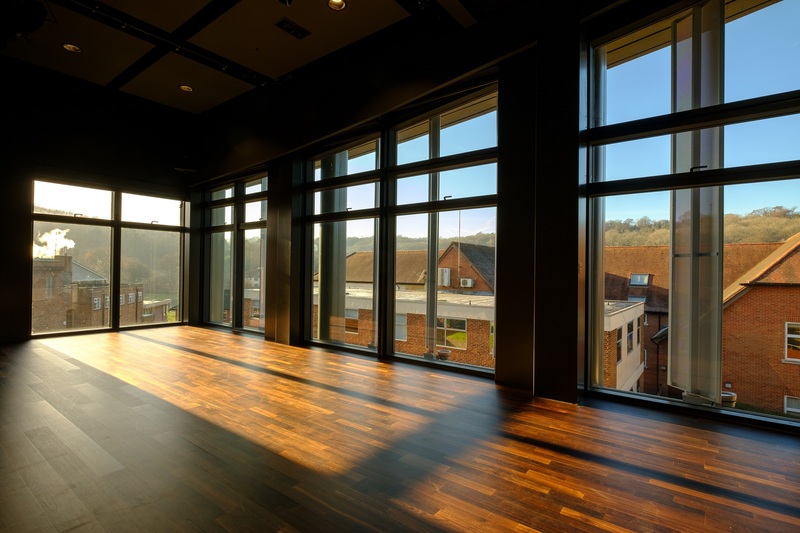 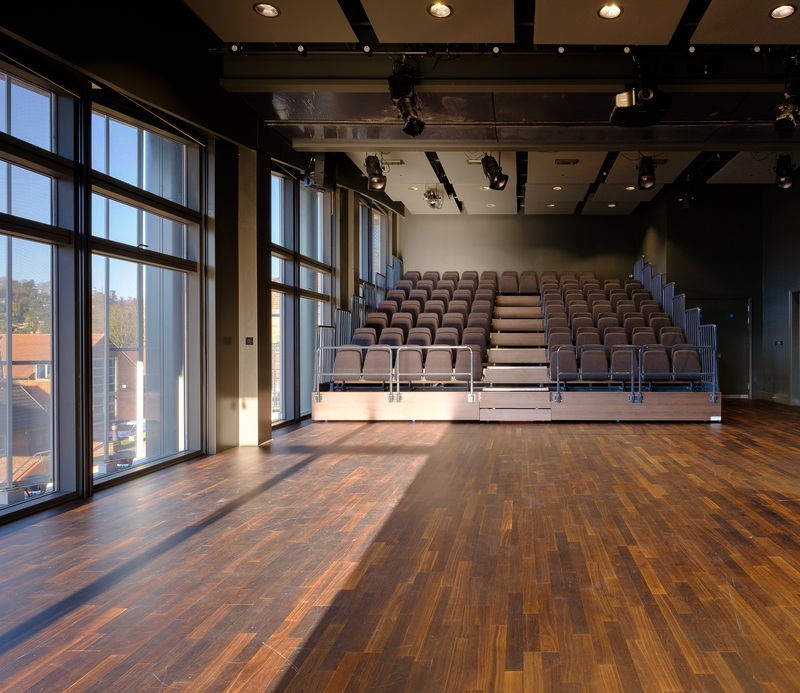 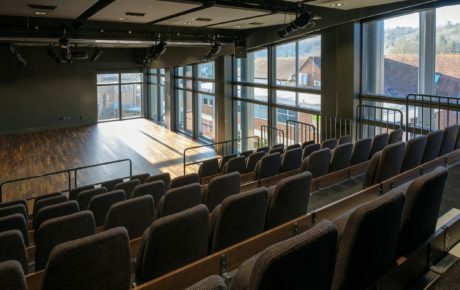 The works originally included a new entrance foyer and two ancillary drama studios, one to be equipped with auditoria seating for rehearsals and smaller productions, however mid-way through the contract, the decision was taken to adapt this studio to create a new “black box” style theatre. 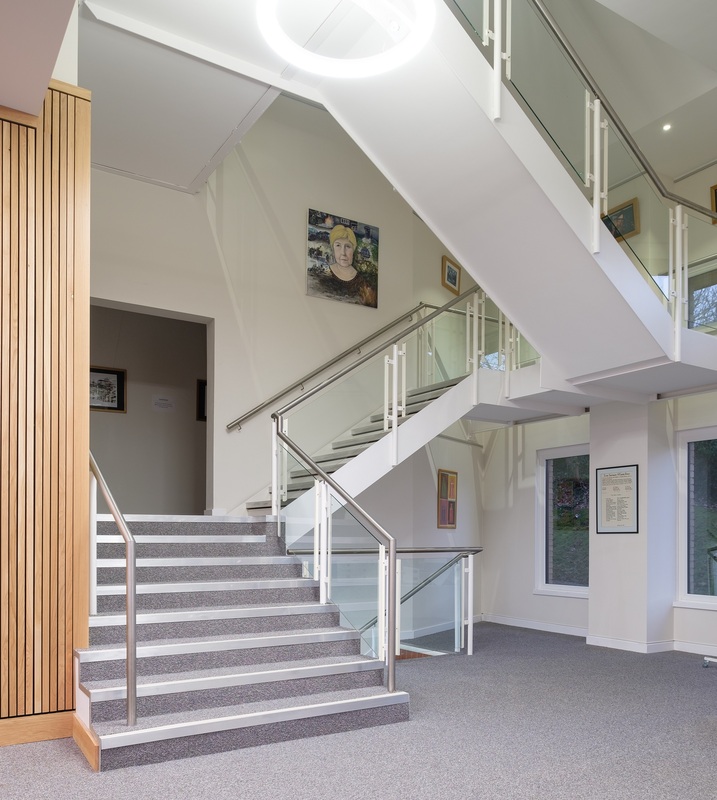 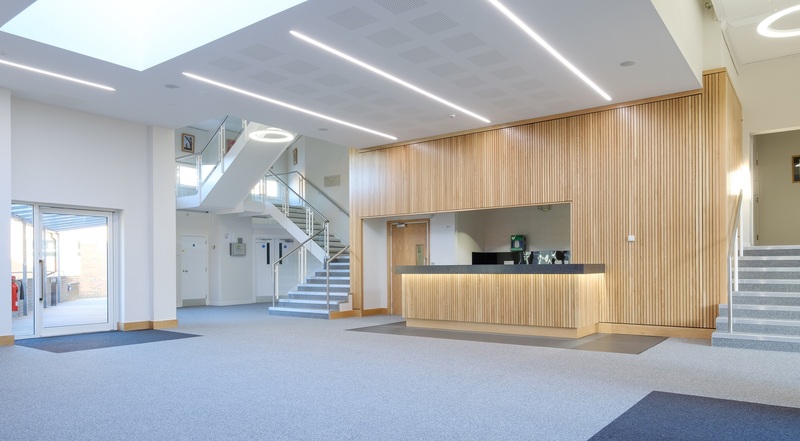 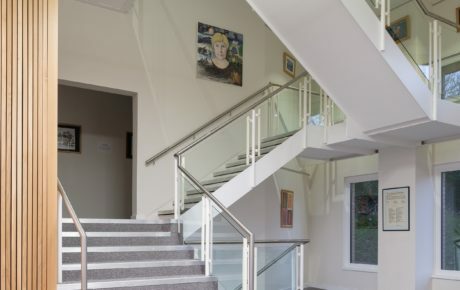 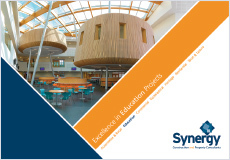 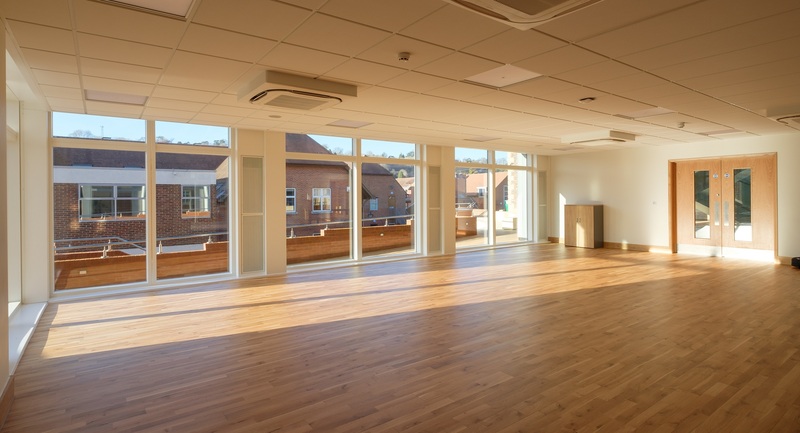 This adjustment to the initial design required the provision of comfort cooling and mechanical ventilation, AV Installation, black out blinds and other changes including a completely new dark colour scheme to all surfaces and fittings. New landscaping takes full advantage of the sloping site through the construction of a small amphitheatre creating a focal point to the front of the building. 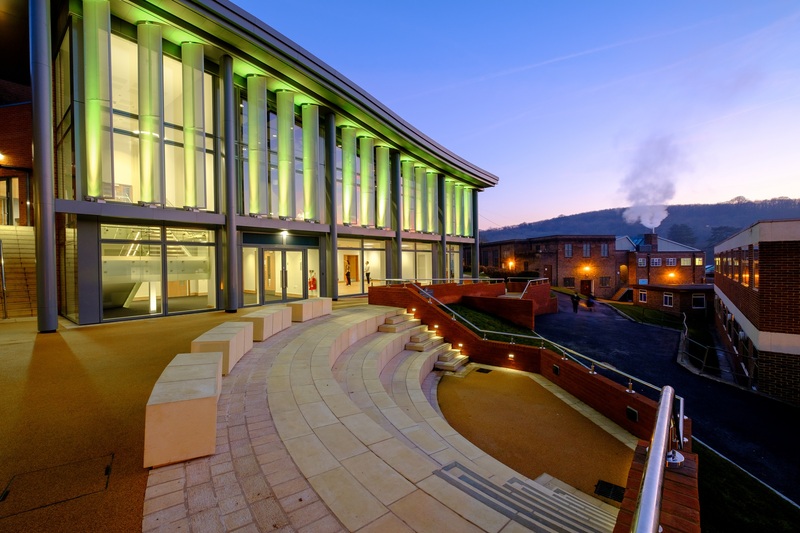 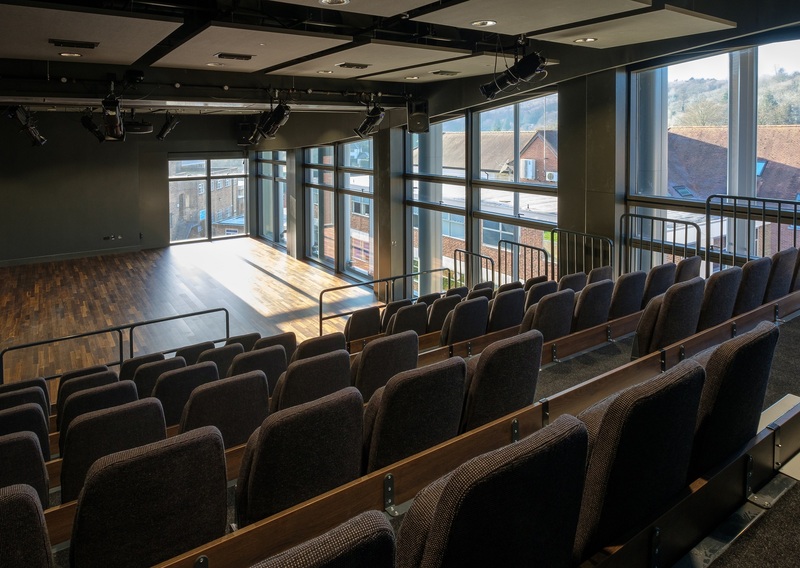 This space is complemented by the adjustable vertical brise soleil and coloured floodlighting which is programmable to suit events in the building.